When Gil Scott-Heron died this week, few who knew of him could have been surprised. He had been fighting the effects of drugs and attendant ill-health for years, much of it chronicled in places like The New York Times and The New Yorker. And yet, the real effect of his death has been widespread among Boomers like myself because Gil managed to do something that few in our self-regarding generation—certainly no poet—has done—and he did it at the beginning of his career: he wrote an immortal line. I remember Mark Strand saying to me in a hallway at the august American Academy in Rome—an institution where Gil’s shadow never fell—that this was the poet’s only job. All else was meat-extender. The line, “the revolution will not be televised” is imprinted on everyone born before 1960 and many who were born after. It gave the lie to liberal romanticism, even as it brought home the truth that all politics is personal. Gil was a fellow student at the Writing Seminars at Johns Hopkins back in the early 1970s. He cultivated the menacing look popularized by the Black Panthers and the Last Poets: outrageous Afros to affirm Negritude and sunglasses to show he was unimpressed by the dazzle, be it his own or that of the culture. Imposing, deep-voiced, thin and attentive, he cut an impressive figure and managed to acquire the authority of the taciturn. I wrote a poem about a time he rose to defend me in the poetry workshop when he thought I was being unfairly attacked. Everyone was astonished at his sudden advocacy, as he had been virtually silent the whole semester. The poem goes on to register the divergence from this momentary accord, to our quite different destinies. In later years, many wished to claim Gil as the “godfather of hip-hop,” a role he declined to accept, preferring to see himself as a jazzman, much the way Dylan prefers to see himself as a song-and-dance man, rather than a prophet. But Gil’s oeuvre includes novels, poetry, and music (not excluding rap), so attempts to slip from the embrace of any one category can only been seen as an affirmation of his protean talents. In spite of his run-ins with the Man and his crack addiction, he continued to speak truth to power, though sometimes with the burnt smell of tragedy mingling too easily with the whiff of farce. When he missed a parole hearing a few years ago, he explained to the judge that his absence was understandable: he had to attend an Alicia Keys concert. When my daughter moved into her first apartment two years ago a few doors down from the Blue Note on West 3rd Street, I happened to notice a poster that made a catch in my throat: “For One Night Only: Gil Scott-Heron.” No longer a drinker, I didn’t go to pay the $35 cover to drink ginger ale. Around the corner was the Café Reggio, where I last saw my old friend Joseph Brodsky, sipping espresso, smoking, and holding court. I tried to impress on my daughter, an NYU student, the magic of these associations, and it consoles me that she gets these passages, even as she rises to her own kismet. and fostered ill will. Next up, me. and let the sans-coulottes have their way. of his recent (published) novel and some spoons. his saying, though the verbatim trips here). with a lame joke in our apartment elevator. That other was about language: that was all. other world with his band, his other means. beyond my place, beyond where I got off. 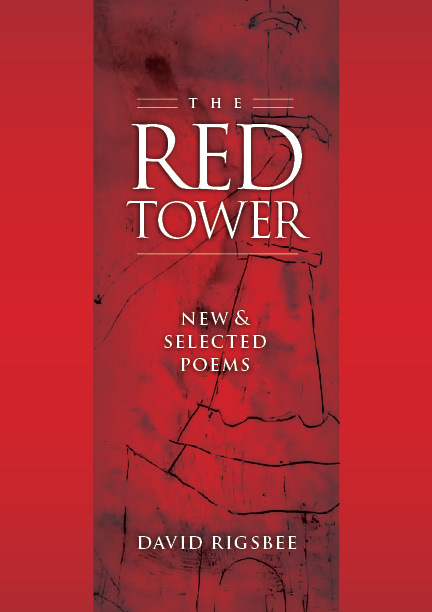 The Red Tower: New & Selected Poems, by David Rigsbee, is available from NewSouth Books, Amazon, or your favorite local or online book retailer. You are currently browsing the archives for the Gil Scott Heron category.